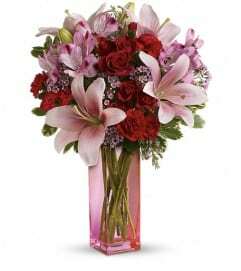 Romance that stands all the tests of time is like an enchanted journey. 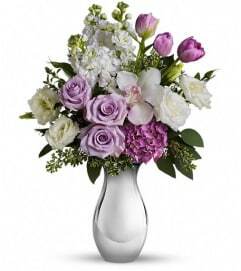 This beautiful arrangement is a wonderful way to celebrate that love. 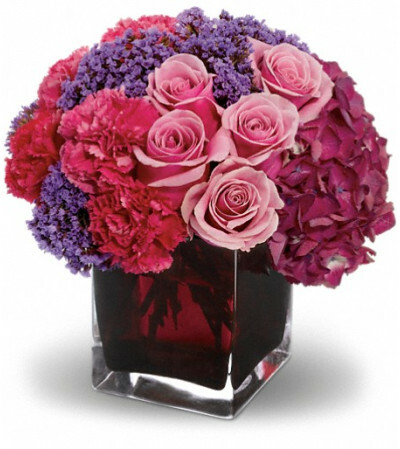 Gorgeous dark pink hydrangea, pink roses and carnations, plus lavender statice are lovingly arranged in an exclusive plum-colored cube vase.